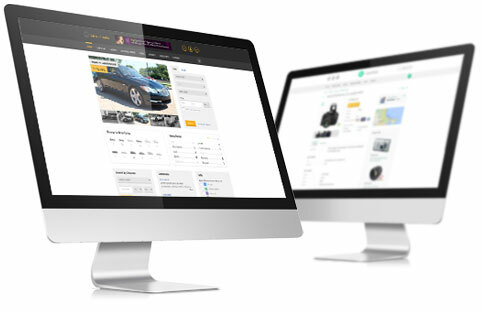 When you find classifieds software it is quite natural that you want to try it before placing an order, especially if you're looking for a reliable and robust platform for integrating a custom template and functionality. The best way to dispel your doubts is to get a free 15-day classifieds trial of any script offered by Flynax to make sure that it really meets your needs and expectations or can be adjusted to do so. Free Trial. What's in the box? After submitting a trial request form you'll get a link and logins for a 15-day pre-configured trial site (We can extend the trial period to 30 days at request). Pre-configured means you get a copy of our demo site with all categories, accounts and listings already in place so you could start playing with it right away without having to populate it with test listings and categories. The trial site will be installed on Flynax server, which gives you an opportunity to try both the front and back ends of the trial and learn more about functional power of our classifieds software. If you are not sure about particular features of Flynax you can go through a full list of our software functions or contact us for getting more information. Apart from trying the basic functionality of the front and back ends, you can easily install and play with any plugin out of 76 included in the license. The trial allows you to try our free Android and iPhone applications. You also have the ability to switch between templates including our Flatty classifieds responsive templates to get an idea of how your site will look like using a particular template. If you are happy with your trial and you don't want to lose what you built we are ready to move your trial site to your server at no cost. Just let us know about it before expiration of the trial. We also recommend that you make sure that your hosting meets our system requirements.